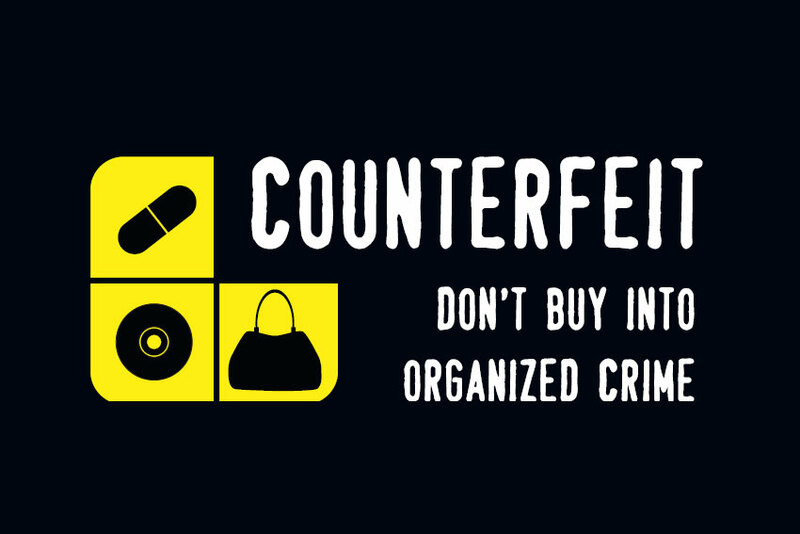 Holidays are never a reason to halt activities and keep off hard work, any member of MUNRFE Management would assure you. 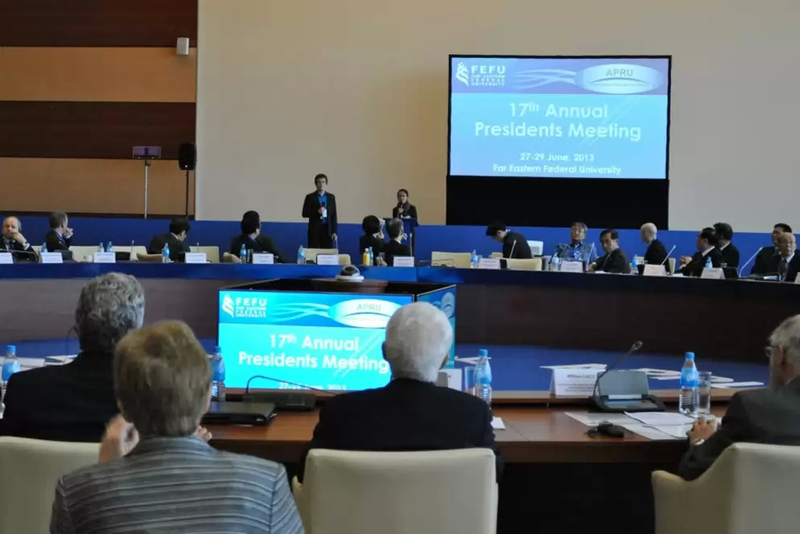 Coming through with elaborated annual reports and new plans for the upcoming year, the Presidential teams and the Managing Director’s (MD) team gathered in the city of Khabarovsk on 27-29 January 2014 for the XXIV Presidential Council. In the changing world the importance of international contacts and multicultural exchange is advancing, while the ability to speak several languages gradually becomes a new standard of life. 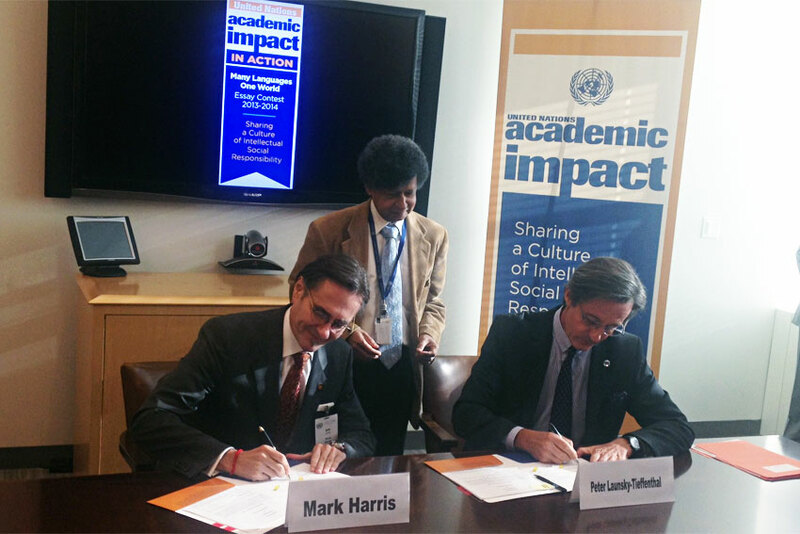 Realizing a current need to enhance global understanding, the United Nations is announcing an essay contest. The UN suggests college and university students to write an essay in one of its six official languages on the role of multilingualism in a globalized world. Please check the following links: www.un.org/youthenvoy/opportunities, www.un.org/apps/news/story. One more time we witnessed a great international event gathering students from all over the Russian Far East, as well as other Russian cities and even other countries, to debate on acute global issues and share their solutions to the challenges humanity has been facing for ages - the XII International MUNRFE Conference! 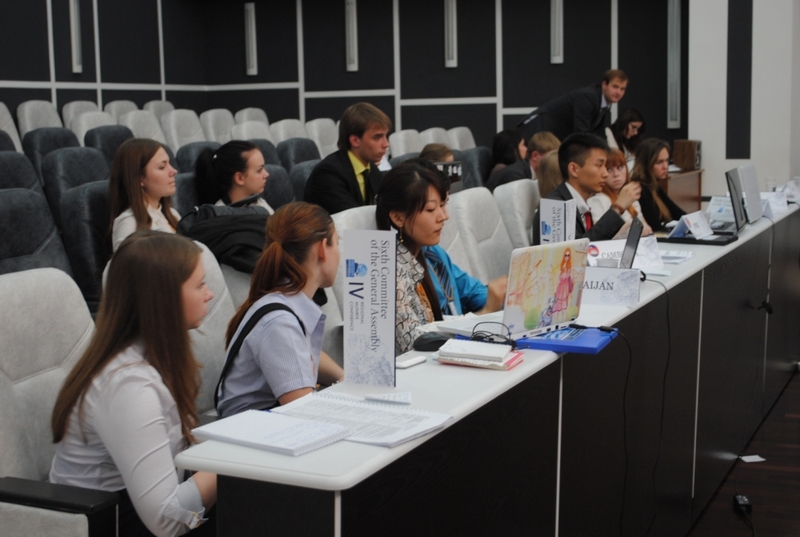 This time it was again hosted by the Vladivostok Club and conducted in the Far Eastern Federal University on 12 - 17 December 2013. With marvelous success MUNRFE Autumn Master-classes 2013 have come to an end in Vladivostok city. 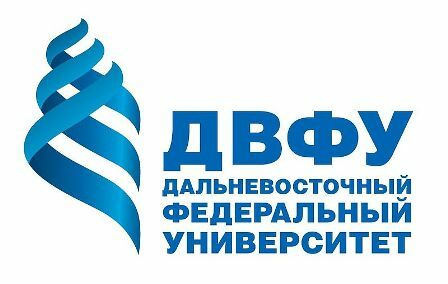 For the first time ever carried out simultaneously in FEFU and VSUES on the highest level, the projects attracted more than 80 participants. Two brave Coordinators of Master-classes – Olga Kuzmina on Russkiy Island and Kira Akimova on the mainland were the ones to deal with new campus infrastructure and the rest of unpredicted challenges during past 5 weeks of Master-classes. The participants had a chance to be present during 32 hours of conceptual lectures, trainings and creative tasks which were prepared for them by more than 25 Club Members and special guests such as club experienced alumni, businessmen, foreign guest and the Human Resource manager from international British American Tobacco Company. On August 19-21, 2013 more than 30 young leaders from North, Central, East and North-East Asia gathered on the Russkiy island, Vladivostok to participate in the Subregional Youth Forum on the implementation of Rio+20, conducted by the United Nations Economic and Social Commission for Asia and the Pacific. Participants from China, Japan, Republic of Korea, Mongolia, Armenia, Azerbaijan, Kazakhstan, Kyrgyzstan, Uzbekistan, Turkmenistan, Tajikistan and Russia represented wide range of different youth organizations, working in environmental, political and social spheres. 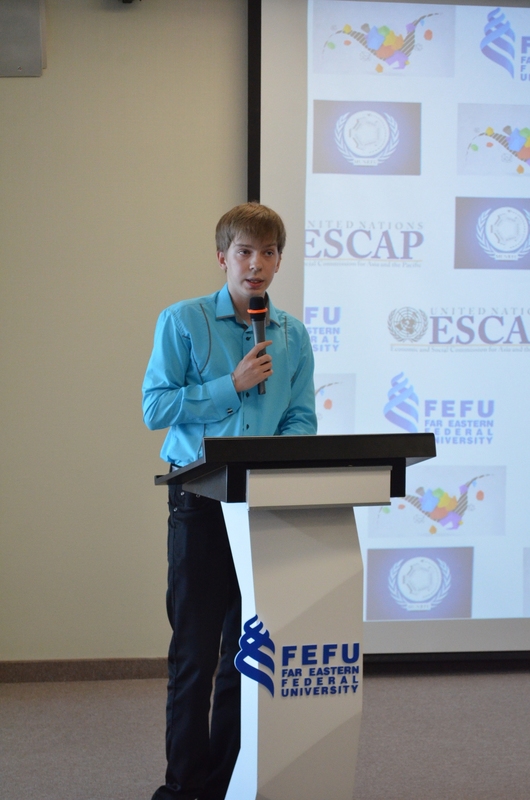 Due to the fact that the very idea of bringing the Forum to Vladivostok was brought up by the Model United Nations of the Russian Far East, it was honored to be a co-organizer of this event. At the Forum MUNRFE was represented by the most deserving members of all three Clubs: Anna Murzakova and Vladimir Tananykin from Vladivostok, Elena Kharitonova and Linda Kvitkina from Blagoveshchensk and Daria Stolbikova from Khabarovsk. Anna Ivanova served as a coordinator of the Forum. Annual summer educational programme for school-children “FireStarter” this year took place in the summer camp “Ritm-10” in Vladivostok on 11-25 of August. It gathered 45 participants at the age of 13-17 years from all the Russian Far East – from Vladivostok, Ussuriysk, Fokino, Nakhodka, Spassk-Dalniy, Khabarovsk and Blagoveshchensk. They were divided into 5 teams with 2 advisers per each team according to the geographical principle of 5 parts of the world: 火 Team (ad’s – Kseniya Shevtsova, Olga Katina); Black Hot Coffee Beans (ad’s – Ekaterina Churkina, Alexey Sidorenko); E for Europe (Olga Skudarnova, Alexey Zlygostev); the Carribean’s 11 ½ (Liliya Yakubova, Gleb Bokhan); Hakuna Matata (Elena Kiseleva, Roman Snegurov). 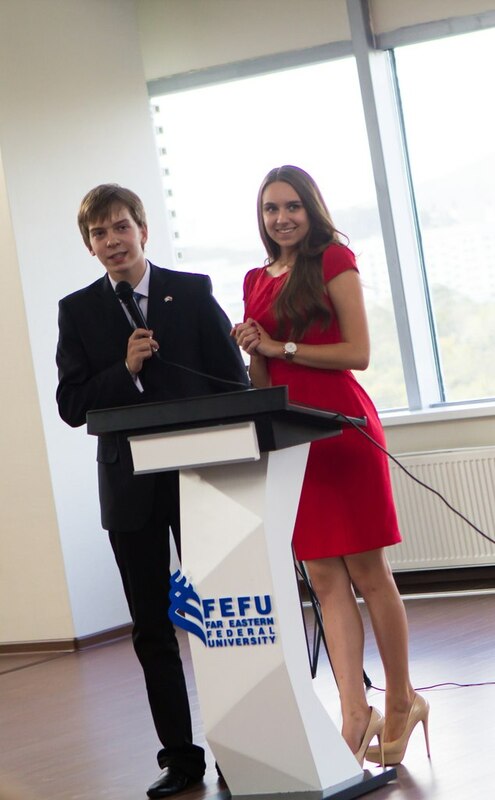 The Student Leaders Forum of Association of Pacific Rim Universities (APRU SLF) was conducted on venue of Far Eastern Federal University (FEFU) new campus on Russky island. It was a wonderful event with the aim of gathering and afterward uniting all students of APRU and giving them an opportunity to design and present projects in 4 spheres: Public diplomacy and humanitarian sciences; Volunteerism; Engineering and natural sciences; Student self-governance, which all formed four working groups with the same name. The IV Regional Conference "Taming the waves of Asia Pacific: Curbing Disasters, Catching the Opportunities" was held in the business incubator of the Pacific National University from 1st till 4th of May, 2013. 11 Secretariat members observed 50 school and university students performing as the United Nations experts and diplomats of the UN Economic and Social Commission for Asia and the Pacific, the Sixth Committee of the General Assembly and the Security Council. New-comers and old-comers from Blagoveshchensk, Fokino, Khabarovsk, Vladivostok and Petropavlovsk Kamchtskiy made a new step forward in their personal growth, developing their debates, public-speaking, negotiations and leadership skills day by day. 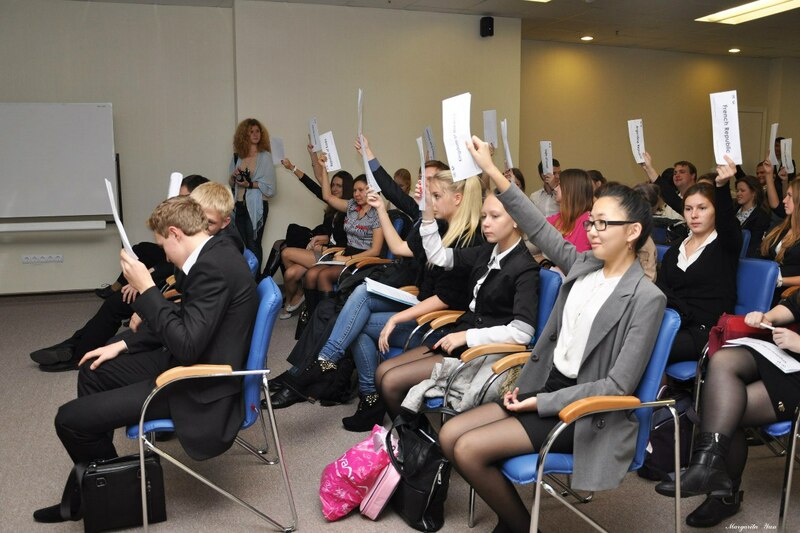 According to the words of Chairpersons, the debates were hot and tough in each Committee that definitely means the success of the substantial part of the Conference. Actually, the facilities provided by the above mentioned university and ever-friendly and people-oriented Khabarovsk MUNRFE Club were on a very high level that raises deep gratitude to the hosting Club and the Conference Coordinator. Welcome the Secretary-General of the XII International MUNRFE Conference!